Our first look at Childish Gambino’s upcoming project with adidas is finally here. Well, sort of- seeing the reworked Nizza for the first time tells us that we’ve actually seen it before, albeit in a very subtle sneak peek. adidas’ celebrity collaborators have been a big part of their brand identity in recent years. Their penchant for creation is shared by many artists, musicians, and more around the world, and the Three Stripes is extremely adept at seeking out those who work well with them. Last year, adidas announced a new partnership with Donald Glover, AKA Childish Gambino, a multi-hyphenate artist known for his music and acting. As a part of the announcement, adidas hired the same animator who created his “Feels Like Summer” music video to make a short video showing Gambino swapping out a plain pair of sneaker for a pair of low-top adidas. 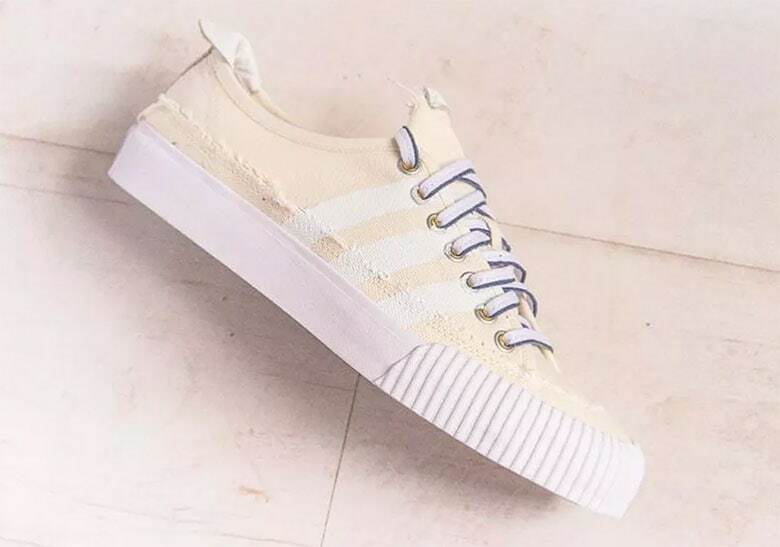 While it wasn’t the clearest look, the adidas Nizza we saw in the Childish Gambino announcement is nearly identical to the shoe we see this week. The DNA of the classic Three Stripes silhouette is still there, and the influence of Glover is heavily apparent. The canvas upper is still there, though the edges have been frayed slightly, and a more prominent heel tab has been added. Brass eyelets secure two-tone nylon laces that are actually two separate pieces stitched together, while a ribbed bumper protects the toe. Childish Gambino and adidas have yet to formally announce their new collaboration together, though given the fresh new images we can expect this frayed Nizza to release sometime in the near future. We expect the price tag on this special Nizza to be more than we’re used to, so stay tuned to JustFreshKicks for more information on where, when, and how to score your pair. 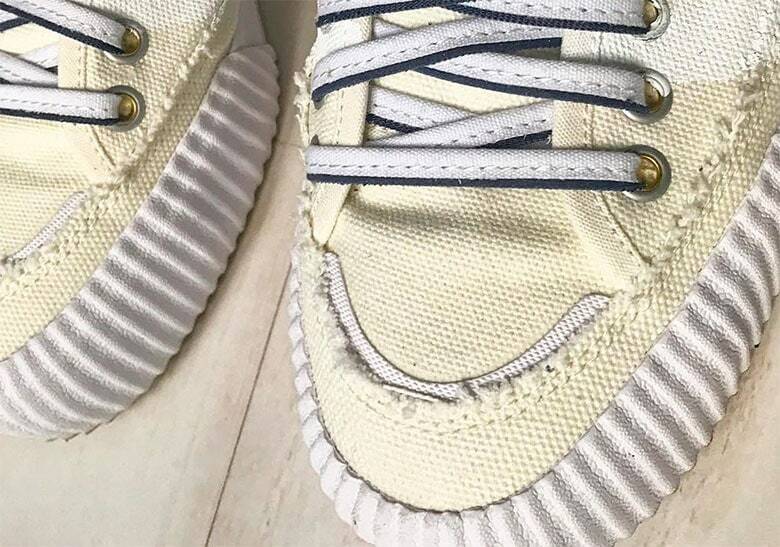 The post Childish Gambino Reworks the adidas Nizza With a Frayed Look appeared first on JustFreshKicks.